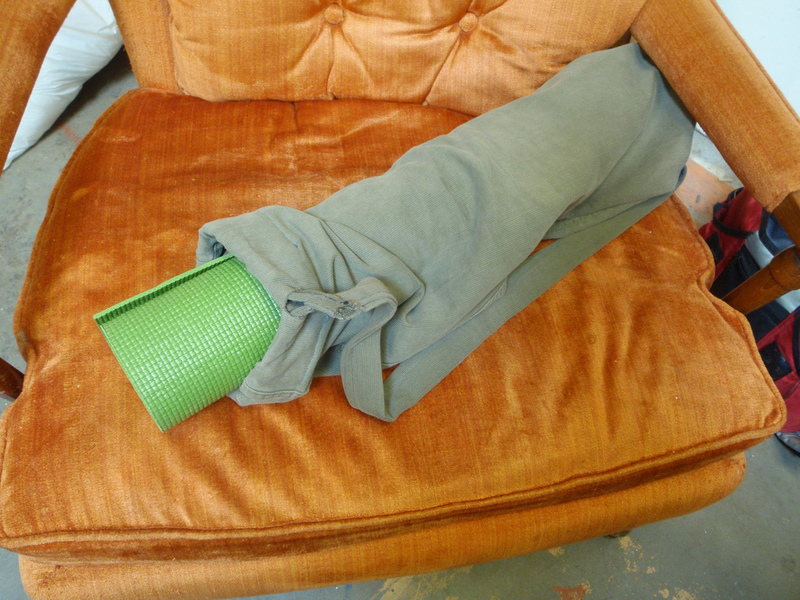 I made a bag for my yoga mat out of an old pair of pants. You can make one too, since I made an instructable for it! Check out the Flickr set, too.